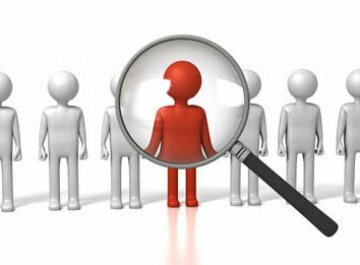 If using a recruitment agency, make sure you are using one highly skilled in the industry sector you operate within. If relying on job postings, make sure your content is as appealing as it can possibly be and that you’re using the right sites. Be as targeted as possible. Pitfalls: using generalist recruitment agencies can easily result in an avalanche of inappropriate CVs being dumped on your desk. If they don’t fully understand what you’re seeking, it’s all too easy for them to deliver you anything vaguely appropriate and let you do the sorting. Pitfalls: If using particularly broad destinations to post your job vacancy you can again end up with way too many inappropriate CVs to disseminate. It will also cost you a lot more to post ads reaching a wider, bigger, less targeted audience. If using a recruitment agency you should only be sent properly pre-vetted candidates who want your job, are qualified to do it and are within budget. If hiring direct, it’s often a good idea to schedule a phone chat pre meeting to dig a bit deeper into the CV to ensure best use of time. When you do invite someone in for a face-to-face meeting, bear in mind it’s you inviting them in and they are giving up their time for you. Do the decent thing and make the meeting last at least 30 mins even if you’re going to reject them. Get the most out of the time you have together by doing a bit of prep on them, making sure they have done their homework on you and by asking open questions. First impressions count…both ways. If you decide half way through the interview that the person in front of you is “the one” but you started off in a totally different frame of mind, you may have blown it! Always start off positively, giving candidates the best impression of you and making them feel welcomed. Your employer PR is on the line here and everyone leaving a job interview with you should leave wanting that job, regardless. Don’t hang about. If you decide someone is to be rejected, reject them. It takes a matter of seconds. Similarly, if you like someone and want to take them forward – tell them immediately. Your competition could be wooing them too and the amount of love shown counts for a lot! Pitfalls: Never give the candidate an excuse to say “I don’t want to work for you”. They are vetting you as much as you are vetting them. When you’ve decided on the right person for your vacancy, strike fast and strike fairly. Taking the sheen of joy and excitement of joining your company away so they no longer start with a smile on their face. Their opinion of you as an employer / line manager has just dropped significantly and the reason people leave jobs is invariably their line manager. If you are a credible employer who treats their staff fairly and rewards accordingly, then practice what you preach. If someone is being unrealistic in their salary expectations, flush that out at stage one! As soon as verbal acceptance has been given, get the offer letter or contract out without delay. 24 hours is your target if you wish to be perceived as a progressive, agile company. Pitfalls: Penny wise, pound foolish. Time is money too, so act swiftly and decisively.